"Despair to the powerless...And all the glory to the one with the power!" "Swallow up everything in darkness, my avatar! I ride Blaster Dark!" Anime Biography: Founding member and rank 1 of the Foo Fighters. Ren is the national champion from two years ago, and enters this year's tournament registered on three separate FF teams, attempting to organize a Foo Fighter versus Foo Fighter final match. Tetsu believes Ren to be obsessive in his hatred of Kai. Ren is only halfway successful. The final match is FFAL4 versus Team Caesar, the previous year's championship team. 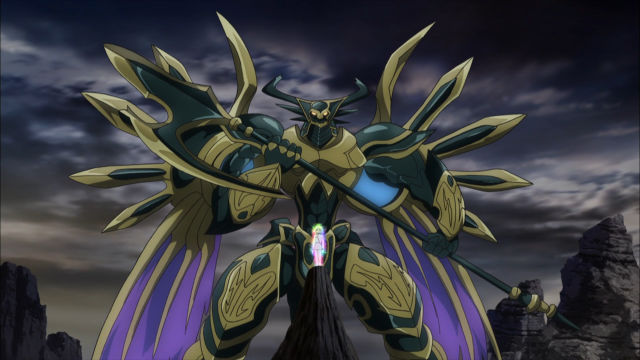 Ren fights Koutei in the finals, using his powerful Qualia to dominate the battle. Two years ago Ren was Kai's closest friend, and together they comprised the three original members of Team Foo Fighter. However, driven by a desire to meet Kai's expectations for their team, Ren found himself gifted with a sudden and unpredictable case of PSY Qualia that rapidly evolved within him. During a training "accident" in which Tetsu was thrown across the room by Ren's powers, Kai began to first question his friend, and the reveal of Ren's master plan was what finally compelled Kai to turn on him. Ren had commissioned Kashiwagi Construction to build the Foo Fighter headquarters, where he would gather strong fighters and pit them against one another to selectively create the strongest team in the world to "conquer Japan." Disgusted by Ren's lack of faith in their team, Kai challenged him to a match in the still-incomplete HQ. Ren first used his Blaster Dark to gain an advantage, but the fight was called off prematurely as a result of his collapse. Kai walked out on Ren that day, while Tetsu stood by his friend to prevent Ren's PSY Qualia from advancing even further. Filled with hatred for his betrayer, Ren continued to push his limits with his Shadow Paladin deck, gathering over five hundred individuals under the banner of Team Foo Fighter. Later that year, he would be crowned the national champion on Team FFAL4. Approximately one to two years later, Ren is called in by Suiko to appear in the mysterious card shop, PSY, and be tested by Kourin in a mirror match. 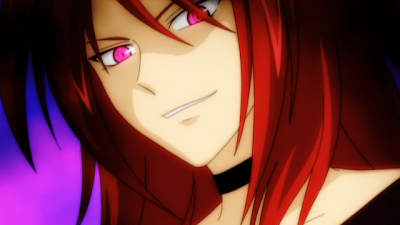 Ren agrees so readily, and crushes Kourin in a one-sided fight. Having displayed his Qualia sufficiently, he leaves the girls impressed, and then proceeds on to become the national champion in the August nationals of that year. Sensing Sendou Aichi's Qualia, Ren makes a direct appearance before the boy and offers him a Shadow Paladin deck to further advance his powers. Aichi agrees, and Ren watches from the sidelines as Aichi grows in greater strength, feeding him his own Foo Fighters to spur on the Qualia. However, Kai interrupts this process by defeating Aichi in a fight firmly in the boy's favor, ruining Ren's intended plan by convincing him of Qualia's weaknesses. Disregarding Aichi as a failed project, Ren returns to his original goals. While perturbed by Aichi's staunch refusal to use PSY Qualia against Team Caesar, Ren disregards Team Q4, stating that "the gate to hell is already open before all of you." The evening preceding the match between AL4 and Q4, Ren is once more approached by Suiko of Ultra-Rare. Having previously warned him that it is time for "final judgment", Suiko offers Ren a choice of contracts; a card of darkness or a card of light. Ren firmly sides with darkness without a moment's hesitation, and is gifted several copies of Phantom Blaster Overlord, the crossridden form of his preferred grade 3. Ren demonstrates the card's strength, along with his PSY Qualia's final state, by crushing his old rival Kai Toshiki beneath his heels. Against Dragonic Overlord The End, a crossride of comparable power, PSY Qualia is the difference that confirms Ren's absolute belief in his powers. Walking away from their clash satisfied, Ren declares that this is "The End" of their friendship, and all he needs now is the limitless power of PSY Qualia. In his final match with Aichi, Ren's Qualia activates in synchrony with Sendou's, synchronizing Earth to the planet Cray. It's through this match that the outcome of the Royal Paladin-Shadow Paladin civil war is determined; while Ren, and in theory the Shadow Paladins are defeated, Aichi's use of Majesty Lord Blaster unites the two clans to work together peacefully rather than through the destruction of another. Having seen his almighty power fail him, Ren seemingly regrets his actions, reinviting the recently-fired Asaka into Foo Fighter and leaving the field after a moment of reminiscence with Kai. Along with Aichi, his Qualia seemingly enters dormancy following this, and Apex Limited 4 is disbanded. Ren's primary character trait is ressentiment, falsely assigning blame for his frustrations on a source other than himself, which he believes to be outside his control—Kai Toshiki. In this way, Ren has cultivated an enemy that justifies his state of mind, and allows him to escape culpability for his actions by victimizing himself. Throughout the first season, Suzugamori is firmly established as one of the most powerful cardfighters, representing the pinnacle of evolution for PSY Qualia and the final stage at which a Qualia-bearing fighter may ascend to. Until the season finale he is never featured as having lost a fight, and he has some capacity to predetermine the future. During the Asia Circuit, Ren resurfaces with the rest of AL4 once more, participating in the Seoul Stage of the Circuit. Ren is joined by Kai and Asaka as part of New Apex Limited 4, with Tetsu taking a back seat during their fights in Korea. Like Aichi at the end of the first season, Ren's PSY Qualia has become subdued, and during his fight with Aichi in Seoul it is reawakened by Tatsunagi Takuto. Absorbed into a vision of his victory as engineered by Qualia, Ren is consumed once more by power. Reverting into his original persona, he faces Aichi preparing to unveil his new Spectral Duke Dragon to the people of Seoul. Manga Biography: First seen in chapter 5, Ren is the leader of the Foo Fighter cardfight gang, and uses Vanguard Fight Gloves to torture players. He brings the Foo Fighters to Aichi's town to sate his thirst for greater battle. 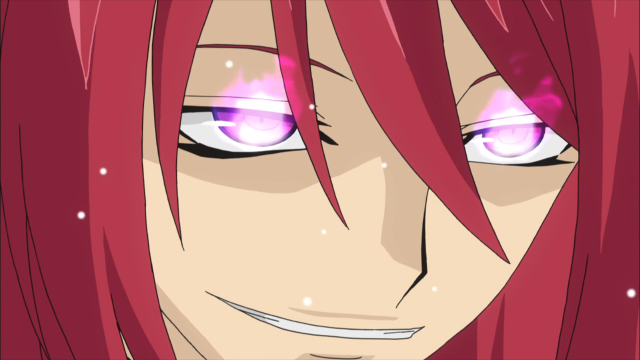 While kind on the surface to Tetsu and Asaka, he shows a darker side to Kyou and in his fight with Misaki. His silly persona is stressed slightly when compared to the anime, as when he nicknames Misaki "MisaQ." Universal Notes: Ren's surname is a location-based name like Aichi's given name, in this case the Suzugamori execution grounds. The grounds were used in the Edo period for the execution of criminals, anti-government conspirators and Christians. Ren alternates between "Boku" and "Watashi" pronouns. He appears to be based on a character Ito had previously designed, Tenma Yako. Fan Culture: In 2011 the Japanese art website pixiv decided that Ren's birthday was on 12/12. This idea was later canonized in Kero Kero Ace magazine. Each year around this time artwork of Ren getting slammed in the face with cake will crop up. Fans tend to call the Ren seen in flashbacks "Baby Ren." When called in by Ultra-Rare in ride 23, Ren demonstrates his skill in a mirror match by flawlessly playing a mixed clan deck he had never before set eyes on. Here we see the first shades of Ren's strategy, carefully maintaining his hand and erasing Kourin's advantages to prevent her from dealing damage. Unusual for an antagonist, and a Shadow Paladin fighter at that, Ren is a master of defensive play. His primary strategy is to stall out his opponent's attacks until their hands are too small to effectively guard, and this is aided by his main line of Blaster units gaining power from having others in the soul. He then brings out Phantom Blaster Dragon, sacrificing lesser rearguards that preserve his hand like Nemain and Badhabh Catha to gain overwhelming offensive power for that turn, using Apocalypse Bat to strengthen his Blasters and force his way. These shrewd tactics combined with his Qualia's foresight make Ren virtually invincible in straightforward battle. Following his selection by Ultra-Rare in ride 23, Suiko appears before Ren to contract him a card of darkness or a card of light with which to power up his deck. 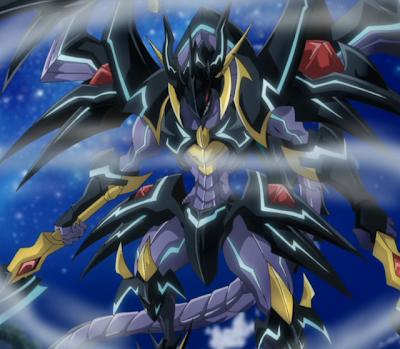 Ren chooses darkness unhesitatingly, and receives Phantom Blaster Overlord, the Blaster Dragon's crossridden form. This comes at even less cost to him than his original grade 3, and as demonstrated in ride 58, is well capable of ending a game on the turn it is ridden. Much of Ren's deck was implied or hinted at briefly before its debut fight in 57; Blaster Javelin can be seen for less than a second in ride 33, Blaster Dark is the star of that same episode, and Gai implies Fullbau to have been Ren's starter in ride 45. In 49 we can see several cards from his deck splayed out over PSY's fight table. During the Asia Circuit, Ren's Shadow Paladin deck is sealed and replaced with a Gold Paladin one. While these cards accurately mimic the Blaster Dragon's play style, substituting Blaster Dark with the Vortimer line, they include a significantly higher count of retire-based abilities in addition to the defense skills they inherited from his previous deck. Additionally, the Duke Dragon retires at the end of the battle phase rather than in the main phase, allowing him to make use of his units before sacrificing them. In ride 82 Ren borrows Tetsu's deck for the Seoul finals, using the Dark Irregulars to get a greater perspective on his own. Several of Tetsu's backup strategies are displayed in the final match, taking advantage of Blade Wing Reijy's skill to soulcharge three copies of any unit on the field from the deck. Ren handpicks Demon Bike for this purpose, combining this with Demon Bike's own power-gain skill to create a 22000-power line with two extra critical from Reijy's skill. Ren also borrows Morikawa's deck for his match with Misaki in ride 85. Performing well with it in spite of the deck's shortcomings, he's nonetheless held down by the incredibly high count of grade 3s in the deck, mainly sticking to an established Gold Rutile combo with Storm to make repeated use of his counterblast. Ren goes on to borrow Emi's deck in the same episode, testing his aptitude with Bermuda Triangle while Misaki tries out her new empty soul build. Ultimately deciding that the deck is "not for him," he still manages several advanced maneuvers by bringing out the Pearl Sisters. Following the Shadow Paladins' unsealing, Ren picks up the Revenger subgroup as his new deck for the third season, Link Joker. In the style of the first season, this deck is revealed one card at a time, and the Shadow Paladins appear to have the same corrupting influence on Ren that they did in the past. Ren's manga deck is originally only seen fleetingly, used against Misaki in volume 3. He easily overpowers the girl with a Blaster Dragon ride. The deck makes a second appearance in chapter 16, during a fight with Kai. Ren rides an alternative vanguard, "The Dark Dictator," based directly on the King of Knights, Alfred. Dictator's skill gives him +2000 additional power for each Shadow Paladin in his rearguard circles, while also giving front row Shadow Paladins +5000 power. 1. KeroKero Ace Vol. 51 1 Apr. 2012. Print. 2. Cardfight!! Vanguard Ride 23. Perf. Atsushi Abe. Crunchyroll, 2011. Web. 15 June 2012. 3. Cardfight!! Vanguard Ride 23. Perf. Roger Rhodes. NicoNico Douga, 2012. Web. 15 June 2012. <http://www.nicovideo.jp/watch/1339491057?via=thumb_watch>.